Earth Water Ltd., a leading provider of technological and business innovation in the areas of industrial and consumer water services, solutions and products, has received the Water Company of the Year Award. The Award is conferred as the National Award for Excellence in Water 2018 for the work that the company is doing to address key issues facing the world today. 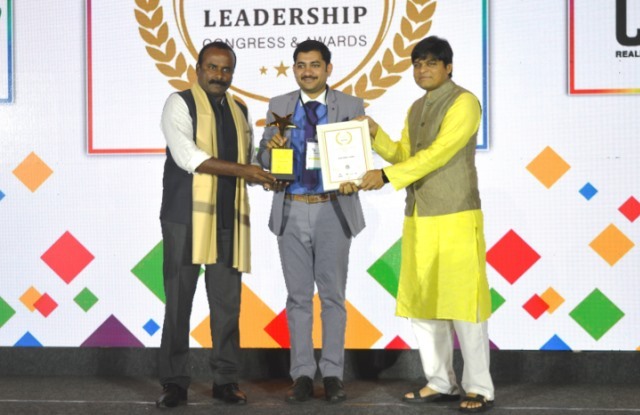 The Award was presented by Shri R. Sampath Raj, Hon’ble Mayor of Bengaluru. The National Award for Excellence in Water promotes outstanding work done by individuals and organisations in the water sector. The awards recognise innovation and excellence in the technology, business and delivery of water projects. Earth Water focus on a wide variety of industry segments, in which its clients operate, including power, textiles, oil and gas, automotive, food and beverage, buildings, mining, chemicals, defense, hospitality and pharmaceuticals.